This concludes the ShanghAI Lecture series of 2012. After a wrap-up of the class, we announce the winners of the EmbedIT and NAO competitions and end with an outlook of the future of the ShanghAI Lectures. Then there are three guest lectures: Tamás Haidegger (Budapest University of Technology and Economics) on surgical robots, Aude Billard (EPFL) on how the body shapes the way we move (and how humans can shape the way robots move), and Jamie Paik (EPFL) on soft robotics. 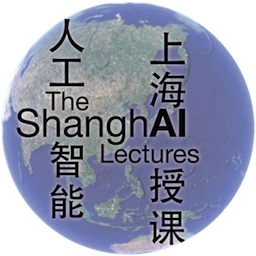 The ShanghAI Lectures are a videoconference-based lecture series on Embodied Intelligence run by Rolf Pfeifer and organized by me and partners around the world. Almost 90 years ago, the idea of telesurgery was born, along with the initial concept of robots. From the early 1970s, researchers were focusing on robotic telepresence, to empower surgeons to treat patients at a distance. The first systems appeared over 20 years ago, and robotic surgery has quickly become a standard-of-care for certain procedures—at least in the USA. Over the decades, the control concept remained the same; a human surgeon guiding the robotic tools based on real-time sensory feedback. However, from the beginning of the development, the more exciting (and sometimes frightening) questions have been linked to machine learning, AI and automated surgery. In the true sense of automation, there have only been unclear reports of one single robotically planned and executed surgery so far, despite the fact that many research groups are working on the problem. This talk introduces the major efforts currently undertaken in centers of excellence around the globe to transfer the incredibly diverse and versatile human cognition into the domain of surgical robotics. P. Kazanzides, G. Fichtinger, G. D. Hager, A. M. Okamura, L. L. Whitcomb, and R. H. Taylor, “Surgical and Interventional Robotics: part I,” IEEE Robotics and Automation Magazine (RAM), vol. 15, no. 2, pp. 122–130, 2008. G. Fichtinger , P. Kazanzides, G. D. Hager, A. M. Okamura, L. L. Whitcomb, and R. H. Taylor, “Surgical and Interventional Robotics: part II,” IEEE Robotics and Automation Magazine (RAM), vol. 15, no. 3, pp. 94–102, 2008. G. Hager, A. Okamura, P. Kazanzides, L. Whitcomb, G. Fichtinger, and R. Taylor, “Surgical and Interventional Robotics: part III,” IEEE Robotics and Automation Magazine (RAM), vol. 15, no. 4, pp. 84–93, 2008. C. E. Reiley, H. C. Lin, D. D. Yuh, G. D. Hager. “A Review of Methods for Objective Surgical Skill Evaluation,” Surgical Endoscopy, vol. 25, no. 2, pp. 356–366, 2011. In this lecture Aude Billard advocates that it is advantageous to have robots move with a dynamics that resembles the dynamics of motion of natural bodies, even if the robots do not resemble humans in their physical appearance (e.g. industrial robots). This will make their motion more predictable for humans and hence make the interaction safer. She then briefly presents current approaches to modeling the dynamics of human motion in robots.